Save up to 98% of your time! 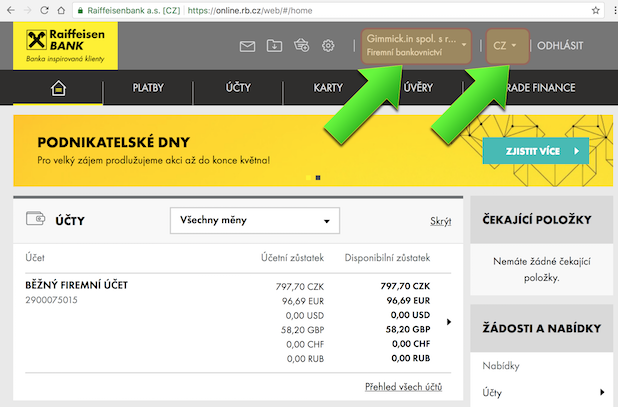 Import statements from PayPal, GoPay, Ceska sporitelna, Raiffeisenbank, ComGate, Adyen, Amazon, Bluesnap, Revolut into your accounting software. 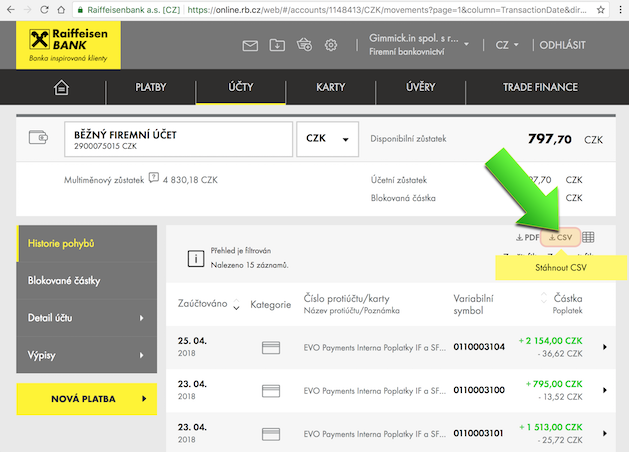 The benefits of importing PayPal, GoPay, Raiffeisenbank, Ceska sporitelna, ComGate, Adyen, Amazon, Bluesnap, Revolut statements into accounting software. 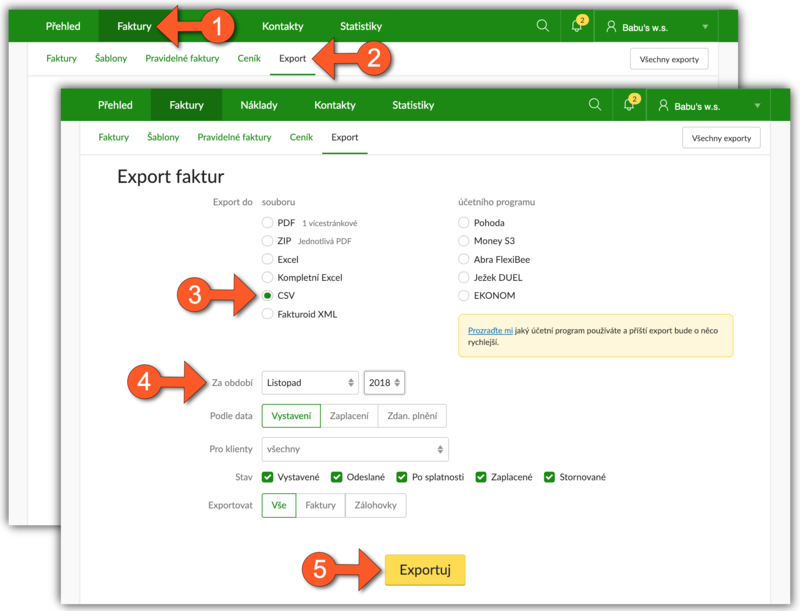 Why to automaticaly import transactions instead of manual entering data into accounting software? You can manage all in just three easy steps. In 2 minutes you can Import statements into your accounting software. You will save 98% of time that you needed for manual entering of the transactions into the accounting software. Automated processing protects the accounting from mistakes caused by manual data entry. Moreover we support payment matching which was lengthy till now. Including eBay! We create the statements in the international formats ABO, GPC, CSV format supported by most accounting software and in the international format SEPA XML, which is future standard of the EU. No monthly fees. No commitments. You pay only for the transactions in statement. 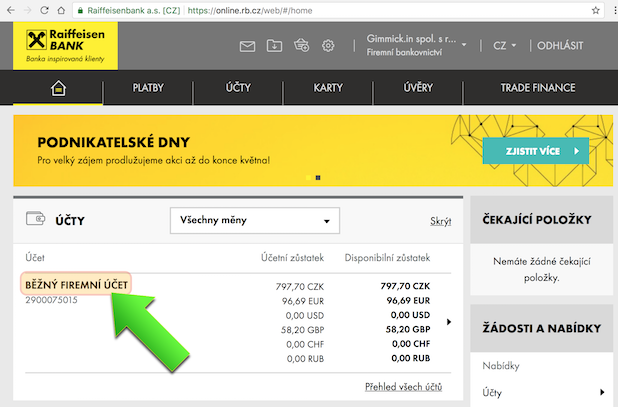 Price for the transaction starts at 0,00585 €. Thanks to bonuses you can save another 50%. From now time is on your side. For 100 received payments you can save up to 22.36 €! Every payment received through most of payment gateways (e.g. PayPal) is split to income transaction (brutto payment from customer) and outcome transaction (fee for using payment gateway). 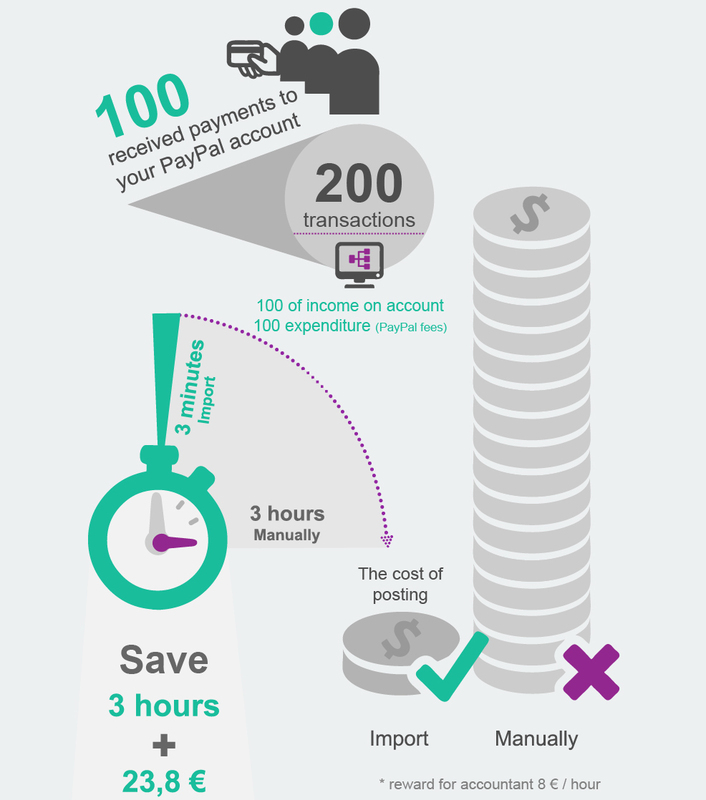 In our example with 100 received payments it would make 200 accounting transactions. The difference in manual and automated recording of 200 transactions can make even more than 3 hours. At an hourly wage of 8 € for an accountant it makes 22.36 € saving for 100 received payments (issued invoices). Compare: costs for statement transformation + statement import: 1,11-1,45 EUR (or thanks to our discount programs 50% less). Watch short video and you can start immediately. 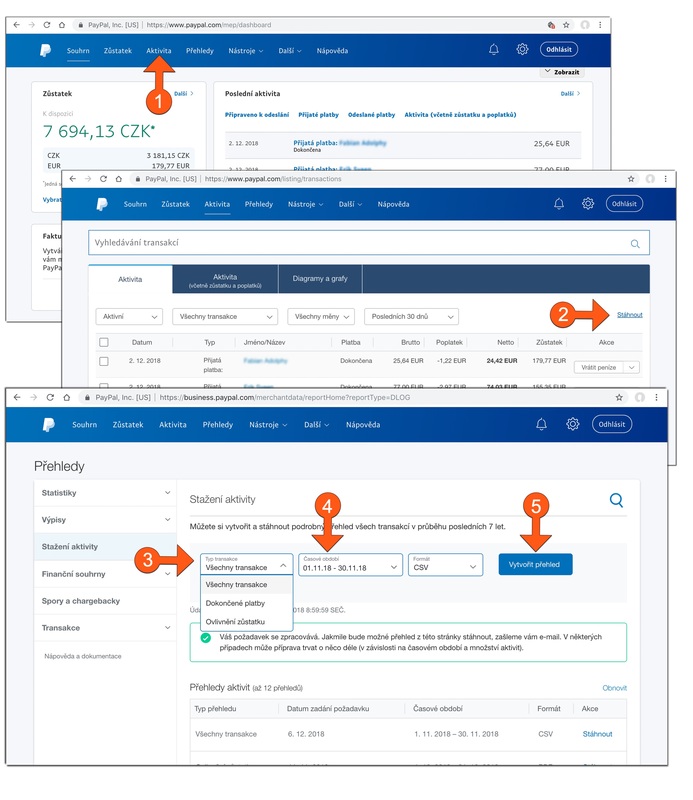 In the following video you will see how to create transformed statement from the original PayPal statement and to import it into accounting software. I wonder how much time it will save in the end. Anyway it is saving my nerves in the orientation in the statement and in concentration on not missing any entry. :) Thanks. We have desperately wished for such service from the time our e-shop started to grow. Saving of time and elimination of errors are priceless. It is easy to start using PayPal. It is hard to record its transactions into accounting. I greatly appreciate how you pair the transactions and issued invoices. My nightmare has ended. Thank you! Accounting company is billing us every transaction. PayPal transactions were the toughest ones and the most expensive too. Thanks to import-statement.eu we negotiated the huge discount. You deserve big thanks! Recommended internet browsers: Safari, Chrome. Choose "Activity" in main menu. Set first and last day of the month. WARNING! Do not download data sooner than one week after the end of the month, as the PayPal is changing the transaction details after the month is closed! Download the original statement by clicking on "Download History". You downloaded original statement. In the next step You will transform it, so You will be able to import it to your accounting software. Please continue by clicking on "Process transformation". 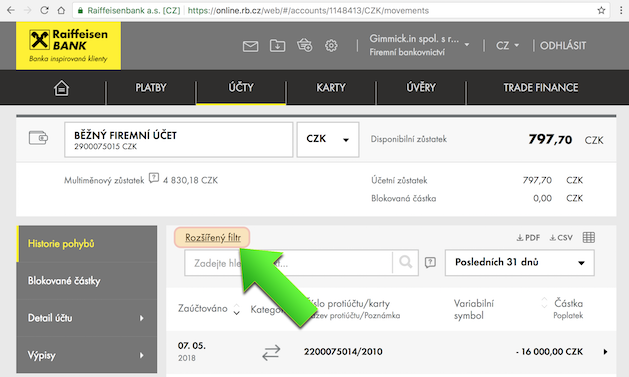 Log in to your internetbanking of the Ceska Sporitelna Bank and download the statement in PDF format into Your computer. Do not change the XML file. You downloaded original statement. In the next step You will transform it. Transformed statement is possible to import it to your accounting software. We recommend to use internet browser Safari or Chrome. Choose months of the statement interval. Click on "csv" to download statement into your computer. Please Contact GoPay, to order the periorical XML statement and to receive it in e-mail. 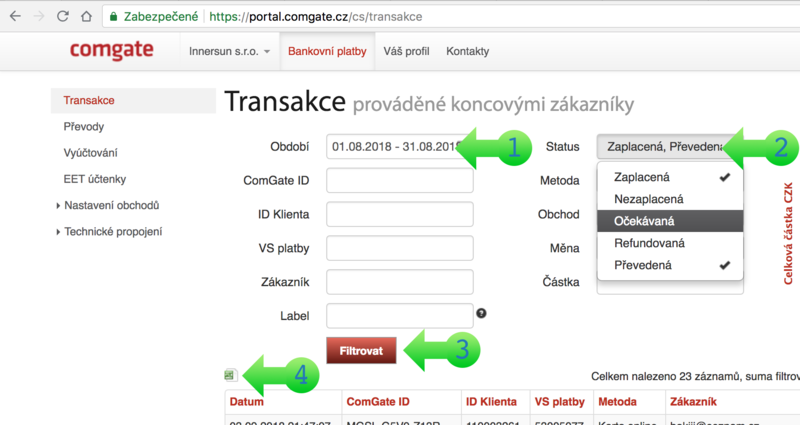 Please log-in on ComGate site: https://portal.comgate.cz/cs/transakce and set the appropriate time period (e.g. previos month). Choose transaction in the state: "Transfered", or Paid". Click on the "Filter" button. Click on the green icon "Export" and save the CSV file. Do not edit the file. Please continue by clicking on "Process transformation". and than choose j) ComGate monthly statement [CSV]. Do not forget to enter the account number, which you already set in your accounting software for ComGate account. Please log-in on Adyen site: https://www.adyen.com and set the appropriate time period (e.g. previos month). Download the statement in .csv format. Do not edit the file. Please continue by clicking on "Process transformation". and than choose n) Adyen výpis [CSV]. Please log-in on Amazon site: https://www.Amazon.com and set the appropriate time period (e.g. previos month). Please continue by clicking on "Process transformation". and than choose o) Amazon výpis [CSV]. Please log-in on Bluesnap site: https://www.Bluesnap.com and set the appropriate time period (e.g. previos month). Please continue by clicking on "Process transformation". and than choose p) Bluesnap výpis [CSV]. 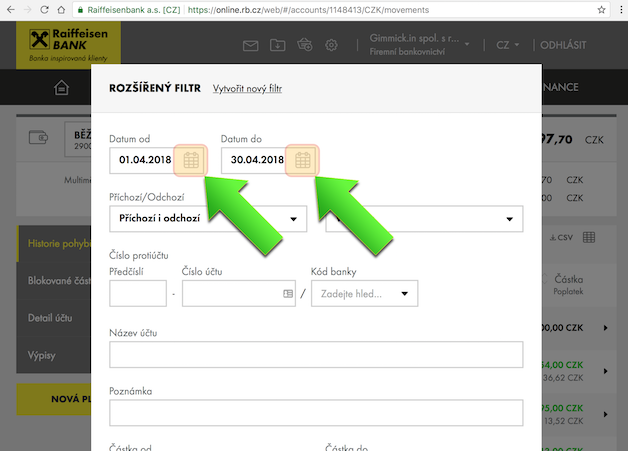 Please log-in on Fakturoid site: https://www.Fakturoid.cz and set the appropriate time period (e.g. previos month). 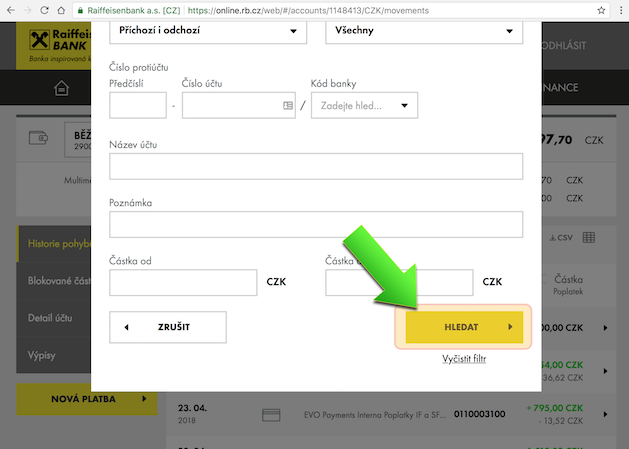 On the next screen, select the file format: CSV and the period for which you want to export the invoices. Note: if you are using the functionality to get var. 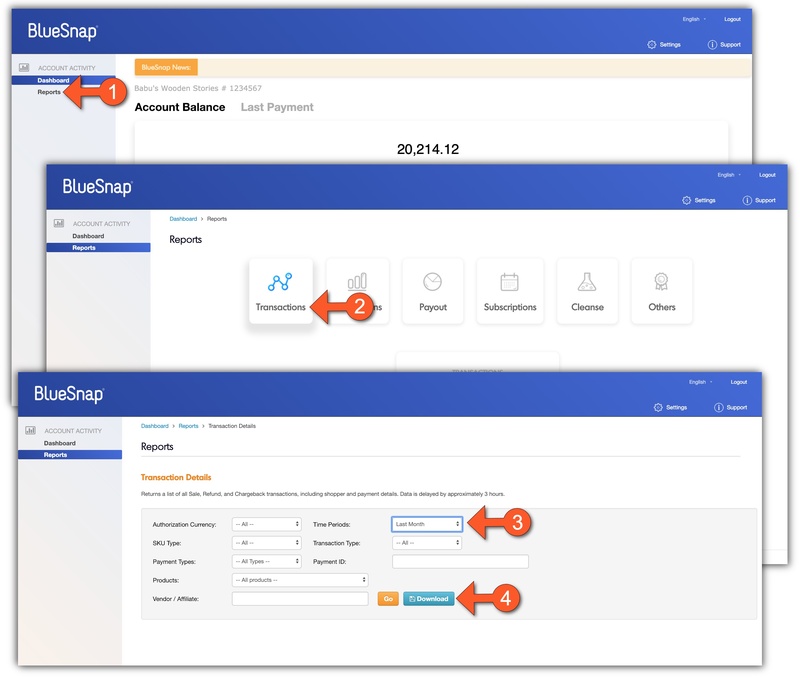 symbols from invoices to payment statement (PayPal, Bluesnap), we recommend to choose longer invoice export period to include all the invoices, you need to include into payment statement. Click on "Exportuj" and save the invoice file into your computer. You've received an invoice file. In the next step, we'll use the file to transform the PayPal or Bluesnap statement. Var. Invoice numbers from the file you downloaded will be added to a payment transaction file. Continue by clicking on "Upload Listing" and selecting t). Choose from our favorable packages with discount. Basic package suitable especially for testing the service if you prefer the minimal payment. The package intended for subjects with lower volume of transactions. The package intended especially for eshops with bigger volume of transactions. The package intended for those who like to make use of maximum discount and for run-eshops. This online service is provided by Gimmick.in spol. s r.o., Identification Number: 28915119, Tax number: CZ28915119, Czech republic, Praha 10, Hostivar, Budapestska 1492/1, ZIP: 102 00, registered by Městský soud v Praze oddíl C, vložka 152876. Terms and Conditions (in Czech language).